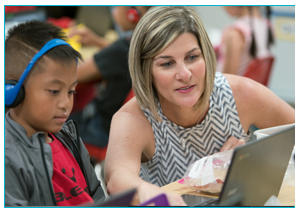 i-Ready Standards Mastery gives leaders and teachers insight into student mastery of grade-level standards. 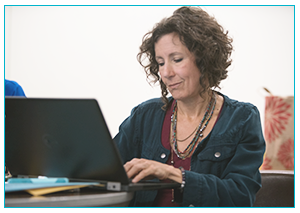 With rigorous, pre-built assessments and user-friendly reports, Standards Mastery makes it easier to collect, interpret, and respond to students’ needs as you teach grade-level content. Standards can be assigned individually or in groups. Administrators control assignment of assessments. Are you a teacher using Standards Mastery in your classroom? Are you a leader responsible for planning Standards Mastery? The tips and resources below will help you prepare yourself and your students, analyze data, and make instructional decisions. It is helpful to become familiar with Standards Mastery before giving students their first assessment. By understanding which standards can be assessed, getting an idea of what data you will get back, and clarifying outstanding questions, you can feel confident when you prepare your students and analyze the data. FAQ: What is Standards Mastery? FAQ: What standards are assessed by Standards Mastery? FAQ: What are the different user roles in Standards Mastery? You will want to make sure you understand which standards are being assessed and when so you can plan accordingly. Schools and/or districts often build the assessments following recommended best practices and take their curriculum pacing and school calendar into account. Reach out to your instructional leader to find out the Standards Mastery testing calendar early. You can then make your plan to prepare students, schedule sufficient computer time, and review your data. Although each plan is different, a common schedule includes a 15–30-minute test once per month that covers one to two standards. 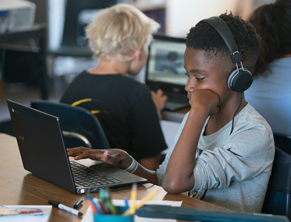 “Mastery Checks,” or Standards Mastery assessments, are great opportunities to promote a culture of data and a growth mindset in your classroom and help students take ownership over their own learning. It is important that students do their best on each assessment, so you can be confident you are getting reliable data and an accurate picture of what students know and still need to learn. Before an assessment, get students excited to showcase what they’ve learned and to understand what they still need to work on. Explain to them what the testing procedures will be and what to expect from a Mastery Check. Show examples and talk through tools and features that are different from the i‑Ready Diagnostic, and tell them what to expect after completing the assessment. During and after an assessment you can use the Standards Mastery Status report to see which if your students have completed the assessment, when they completed it, alerts about expiration, and student scores. Having real-time data allows you to see your students’ strengths and where reteaching and remediation are needed without wasting valuable instructional time. 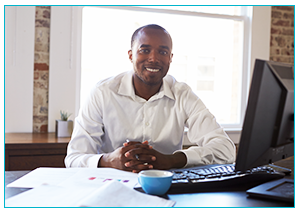 Familiarize yourself with the reports that will be available to you immediately after your students take their first Mastery Checks. Establish a routine of regularly monitoring Standards Mastery assignment completion rates and assessment results. By incorporating Standards Mastery data into your data analysis and instructional planning practices, you can ensure you get the most out of your implementation. The tips and resources below will help you plan your implementation, analyze data, and make instructional decisions. Before you develop your Standards Mastery plan, it is helpful to become familiar with the program. Understand which standards can be assessed, get an idea of the kind of data you want to get back and decide how you will want to use it. You will also want to understand the assessments that are already in place in your school or district. This will help you determine the purpose of i‑Ready Standards Mastery in your district and the goals you want to achieve. If working with a team, you’ll want to make sure everyone has a shared understanding of the purpose and goals as you go into more specific planning. The foundation for a successful Standards Mastery implementation is to design the right testing plan. 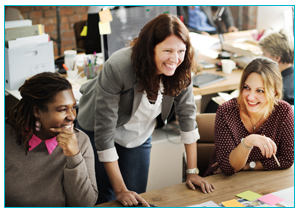 You’ll want to assemble the right team to decide which standards to assess and when. Understand the Best Practices and Pitfalls to Avoid so you can build a plan that lets you know more about your students without sacrificing valuable instructional time and get your implementation off to a great start. Map to your scope and sequence. Build and check the length of assessments to ensure they are not too long. Ideally tests are built around one to two standards. 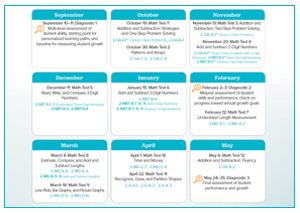 Schedule the calendar for the year and assign Standards Mastery assessments. Consider other testing (e.g., i‑Ready Diagnostic) to avoid over-testing within a given period of time. Set the right tone and expectations for Standards Mastery implementation across your school or district. A clear explanation of the purpose of Standards Mastery use, along with a clearly communicated plan and calendar, goes a long way in getting teachers invested. Set guidelines for using additional Mastery Checks beyond what is set by the district, if applicable. 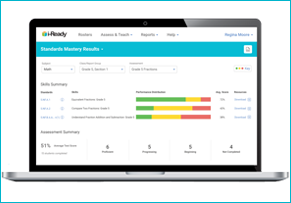 Establish a routine of regularly monitoring Standards Mastery assignment completion rates and assessment results to get the most of your data and implementation. Familiarize yourself with the reports that are immediately available so you can incorporate the data in your programmatic and resource allocation decisions. Work with teachers to support them in using Standards Mastery data to differentiate grade-level instruction. FAQ: What grade-level standards are assessed by Standards Mastery?